This year should be the year, if you don’t already do it, that you see your dentist as often as at least twice a year. Start the New Year right, with a routine dental visit. Schedule an appointment with your dentist for dental x-rays and cleaning. Routine visits to the dentist can help prevent oral disease, reveal existing or potential problems or just give your teeth a fresh cleaning. Not only do dental visits protect your health, they can save you money down the road. Waiting for issues to pop up often means more extensive and expensive procedures later. Seeing your dentist every six months and taking advantage of preventive dentistry services can mean catching those problems sooner and receiving quick, less expensive, and less intrusive treatments. One of the easiest ways to improve your oral health is by improving your oral hygiene habits – tooth brushing and flossing routine. The best way to remove bacterial plaque is by brushing your teeth two times a day with a soft-bristled toothbrush and a toothpaste recommended by your dentist. However, for brushing to be effective it must be done properly: position your toothbrush at a 45-degree angle towards your gum line and move your toothbrush across your teeth in a circular motion in order to remove plaque build-up. Replace your toothbrush every three to four months, you see the bristles have frayed, or after a bout of the flu or cold. As to flossing, it should be done at least once a day to help remove accumulated food particles as well as bacterial plaque between teeth. Proper brushing and flossing helps keep gingivitis, halitosis, and tooth decay away. The use of an antimicrobial or fluoride month rinse can further help you along the path to improved dental health. For many people, quitting smoking is already a resolution for the New Year. And this is a great resolution that can double as a benefit for your smile and mouth. Smoking increases the risk of all kinds of problems including receding gums, gum disease, cancer, cavities, stained teeth, and much more. Even if you use smokeless tobacco or other tobaccos products, you are probably putting your teeth, mouth, and general health at risk. Eliminate this one habit for good, and you’ll see a big transformation in your smile this year as well as an increase in overall health. Besides contributing to weight gain and a many other health problems, sugar can lead to tooth decay. Consuming sugary foods feeds the oral bacteria that attack your tooth enamel (the outer, and protective, layer of teeth). Over time this can lead to cavities, eventually leading to pain and even tooth loss. The most convenient way to limit sugar intake is to read food labels. Sugar can be found in the most unexpected foods, such as sauces and cereal bars, so you need to be sure to look! If you do eat sugary foods, be sure to brush about 30 minutes afterwards. Sugary drinks are safer if drunk through a straw. 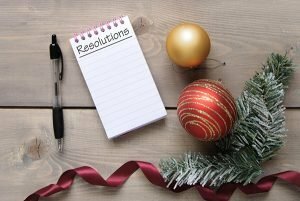 Consider making other resolutions that work hand in hand with your dental ones. For instance, if you resolve to lose weight (which means eating better) you’ll likely cut back on sugars, starches, sodas, carbs, and many other unhealthy foods that can do harm to your pearly whites. And, while you’re losing all that weight, you’ll also stop tooth decay and tooth loss caused by foods that contribute to enamel damage. The same kinds of advantages come with resolutions about exercise! Alex Bratic Dental Care in Beenleigh delivers quality dental services to patients of all ages. 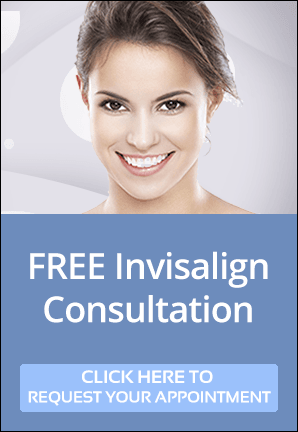 We want to help you keep your dental health in tip-top shape, so they can support your stunning smile in the New Year and beyond.